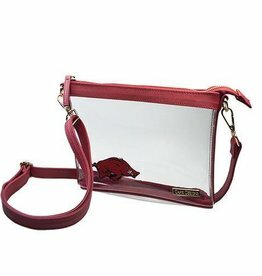 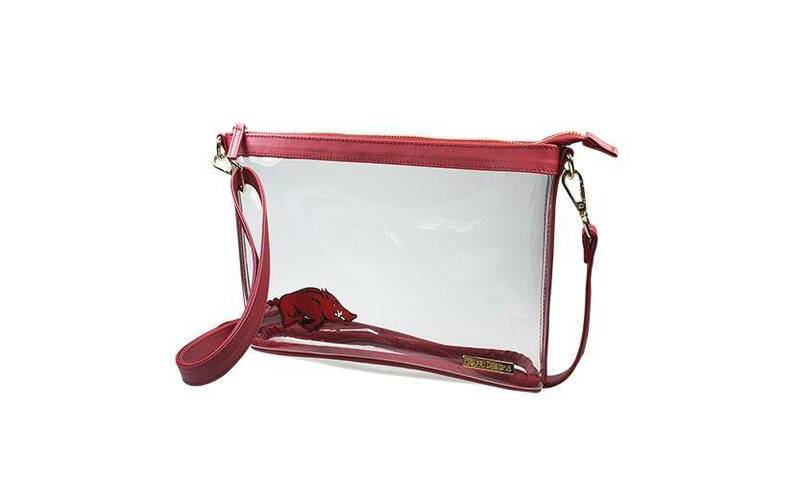 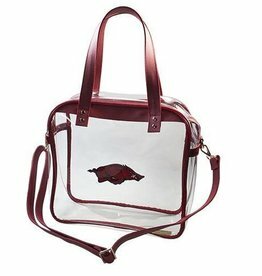 Our Razorback crossbody features a clear PVC body with classic accents of coated cotton canvas and gold hardware. 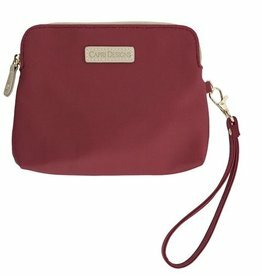 The main zippered compartment is perfect for securely storing your personal items. 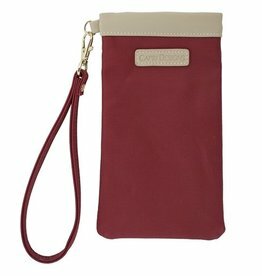 Easily convert your accessory from a crossbody to a clutch with the adjustable and detachable coated cotton canvas strap. 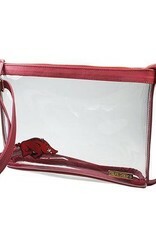 Approved for University Of Arkansas, SEC & NFL venues. 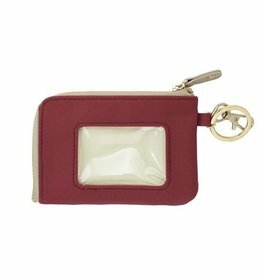 Measures 10" x 7.25” x 2.375"